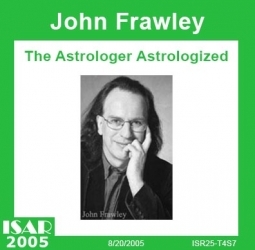 John Frawley is the author of The Real Astrology, Winner of the Spica Award: International Book of the Year, 2001, The Real Astrology Applied, The Horary Textbook, Sports Astrology and the magazine for traditional astrology The Astrologer's Apprentice. He teaches students from all over the world and lectures from Brisbane to Budapest. 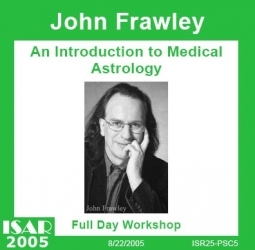 John is one of the few contemporary practitioners of the "Real Astrology". His method of teaching is distinct by it's straightness, clarity, practical applicability and last but not least by his special sense of humor. 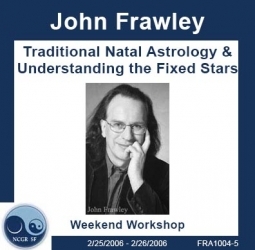 One actually doesn't have to say too much about this expert astrologer! Introduction and ground rules. The Seven Planets and the Chaldean Order. The Houses. A clarification of what the houses really signify-- and why. Discussion of the true planet-house connection: something quite different from the modern view. Significance of the Signs. Aspects - and other ways of joining planets together. Use of Fixed Stars. The role of the Outer Planets. Lost Objects. Medical Diagnosis. Weather Forecasting. Use of Latitude. 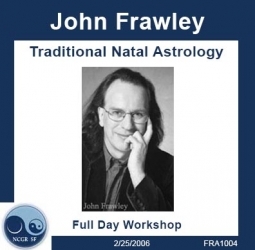 Basic Horary Method. 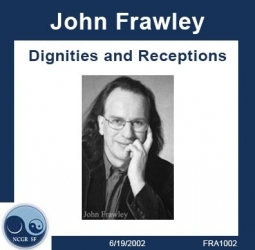 Dignity and Reception. The keys to the whole of traditional judgement, both for prediction of events and for the subtle and concrete psychological analysis. Cosmology. Establishing the Temperament of the Native. 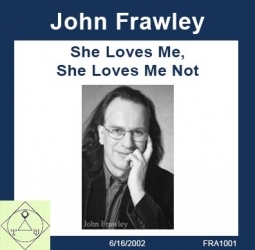 Practical work. Numerous horary chart examples.